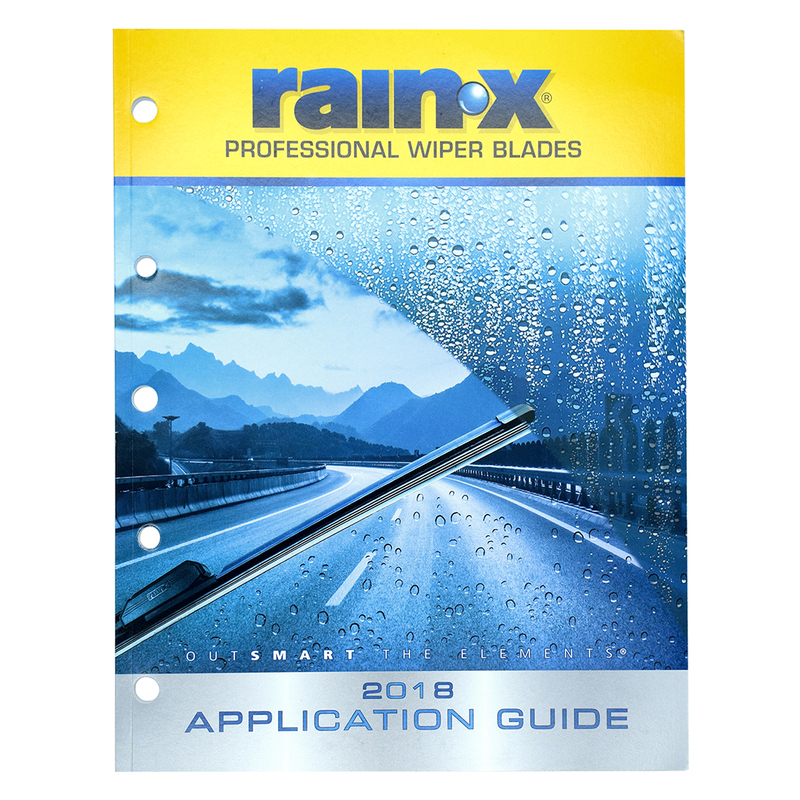 "36326-Rain-X Wiper Blade Application Guide The RainX Wiper Blade Application Guide is the guide to choosing the right blade for your car. It is up to date and a new book is issued every year. ~ Guide to choosing the right wiper blade ~ Up to date ~ New book issued every year ~Mfr Catalog No. The RainX Wiper Blade Application Guide is the guide to choosing the right blade for your car. It is up to date and a new book is issued every year.